Jörg Wichard received the Diploma degree in 1997 and the PhD degree in Physics in 2000 both from the University of Göttingen, Germany. In 2000 he joined a biotech company and worked in the field of computer aided drug design. From 2002-2004 he was PostDoc at the AGH University of Science and Technology in Krakow, where he developed a software toolbox for ensemble based machine learning. He joined the Computational Chemistry Department at Schering AG from 2004-2006 as postdoctoral researcher working on GPCR-Drug finding with machine learning methods. In 2007 he joined the medical informatics department at Charité Berlin, where he developed classification models for early detection of prostate cancer. From 2008-2010 he was research scientist in the Computational Chemistry and Drug Design Group at FMP (Institute of Molecular Pharmacology) in Berlin. 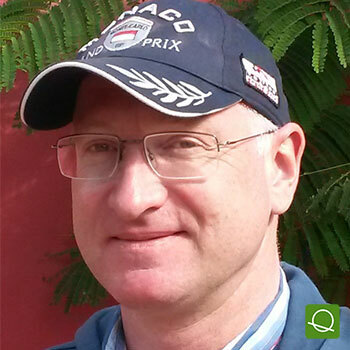 In 2010 he joined the Genetic Toxicology Department at Bayer AG in Berlin where he is mainly responsible for the application and development of in silico tools in toxicology and for the implementation of toxicological databases. CASE STUDY: In silico assessment of genotoxic impurities under the ICH M7 guideline (best practice in industry).